An aromatic blend of hand-selected market spices, rustic Pumpkin pieces & premium Black Tea leaves, our Pumpkin Spiced Chai balnaces the warmth of Cinnamon bark & Ginger root with Cloves, Cardamom, Black pepper & Chilies delivering an extraordinary Chai Tea experience. 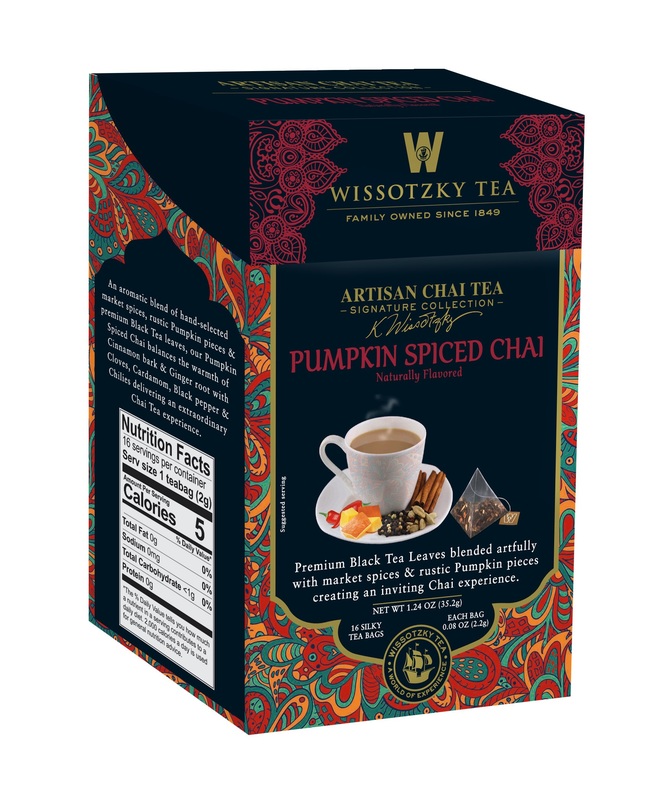 Premium Black Tea Leaves blended artfully with market spices & rustic Pumpkin pieces creating an inviting Chai experience. SELECTED BLACK TEA, CINNAMON BARK, GINGER ROOT, CLOVE, NATURAL FLAVORS, PUMPKIN PIECES, CARDAMOM, BLACK PEPPER, CHILI.